﻿ Sergio Ramos: "Stopping Ronaldo and Bale isn't hard.. it's impossible"
08.11.2013 » Sergio Ramos: "Stopping Ronaldo and Bale isn't hard.. it's impossible"
There's not much a defender can do when he plays against both Gareth Bale and Cristiano Ronaldo at the same time. At least that's what Sergio Ramos thinks about this matter, after having had nearly two months of daily training sessions with the two superstars. Over the last 3 games, Real Madrid has scored 11 goals, and both Cristiano Ronaldo and Gareth Bale have been showing what they are really capable of. The Portuguese forward netted 6 goals and delivered 1 assist, while the former Tottenham winger picked up 4 assists and 3 goals. 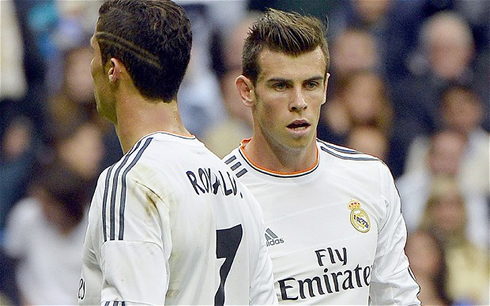 Sergio Ramos: "The way Cristiano Ronaldo and Gareth Bale get along is extremely important for the team. They are in my opinion the two best forwards in Europe right now. To have the chance of having the two playing for us is definitely special. I'm very happy to play with them in Real Madrid", stated the former Sevilla player, who has already been rotated by Carlo Ancelotti in several field positions this season, starting with his preferred centre defender spot, to a right-back and a defensive midfielder [against Barça]. The amount of tactical freedom that both Ronaldo and Bale are usually granted by Ancelotti has been crucial to get the best out of the two. Sergio Ramos: "They are two very complete players and there's not a single aspect of the game which we could point on them as being a weakness. However, what makes them this dangerous is the fact that they don't have a static position on the pitch. They switch positions the whole time. I don't think we can say that it's hard to defend them, as it's more of an impossible task", praised the Real Madrid centre defender. Who seems to agree with Sergio Ramos opinion on Ronaldo at least, is Carlo Ancelotti. The Italian goes further and claims that the 28-year forward deserves to win this year's FIFA Ballon d'Or, more than Barcelona's Lionel Messi or Bayern Munich's Franck Ribéry. Ancelotti: "It's all very simple actually. In my opinion, Cristiano Ronaldo is the best player in the World right now. He leads La Liga goalscoring rankings, he's the top scorer in the UEFA Champions League and if we focus only on tecnical ability capabilities, there's no one better than him", said the former AC Milan, Juventus, Chelsea and PSG manager. Carlo Ancelotti: "Ronaldo embodies what a true professional player should be and that's truly important in order to be at the level where he is today. He has never missed a single minute of a training session since I got here and neither he intends doing it I'm sure...". Real Madrid will host Real Sociedad this Saturday afternoon, but most football fans' attentions will actually have to be split between Spain and England. Chelsea takes on WBA at the Stamford Bridge, while Liverpool welcomes Fulham at Anfield Road. All these 3 games will kickoff exactly at the same time: 15:00 (GMT+0). 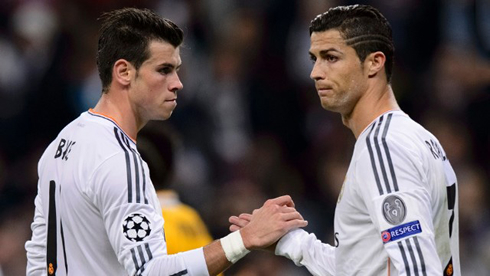 As for Gareth Bale, Ancelotti has also stated that he has tons of confidence on the Welshman and that despite the early but expected struggle he has gone through so far, he is quite likely to follow Cristiano Ronaldo footsteps in Real Madrid. Ancelotti: "I was told that even Zinedine Zidane was whistled and booed in the Bernabéu", pointed out the Real Madrid manager in an attempt to defend Gareth Bale. 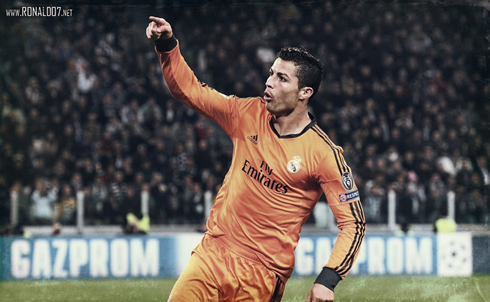 Cristiano Ronaldo next game for Real Madrid is against Real Sociedad for "La Liga", this Saturday (November 9, 2013). You can watch Juventus live stream, Real Madrid vs Real Sociedad live, Betis vs Barcelona, Chelsea vs WBA and Liverpool vs Fulham, all matches provided from our soccer games section.